Traditionally Montana has relied on agriculture as it main source of income revenue. However, over the past decade, oil, tourism, lumber, and breweries have become a major contributing factor to Montana’s economy. And once again the big question for Montana Real Estate is, “Will there be a decline in business and jobs as a result of a decrease in energy and oil costs?” In February 2006 there were 23 oilrigs working in Montana. In 2012 the state saw 17 rigs working. As of the second week of March 2016 there were ZERO rigs working in Montana. What makes these numbers easier to digest are the real estate market numbers over the past few years. Let’s take a look at the Montana’s most populous county as an example of how the overall market is fairing. Yellowstone County saw closed residential sales increase 7% in the past year, from 237 in February 2015 to 254 in February 2016. The numbers are similar for Billings, the county and the state’s largest city. At the end of February closed sales for Billings real estate were up 7% and inventory up a whopping 11% from the same time a year ago. The inventory for residential active properties for sale in Yellowstone County is even better, up 23% in the past year. Even available rental units have increased 21% in the past year. Rental costs have increased 4% in the past year but they are still below national averages. The closed residential sales numbers for Yellowstone County are still 10.24% below the highs set back in 2006, but every other economic factor has increased in that time. Population has increased 21,000, approximately 3,400 jobs have been added, and the average wage has gone up $12,000 per year. Interest rates have decreased by nearly 43%, meaning that although homes cost over $50,000 more than they did 10 years ago, it costs about $83 less a month to own the average priced home Unfortunately most housing market predictions forecast interest rates to increase to 4-4.5% by years end. These are still great rates, but the string of historically low rates looks to be coming to a head. So with Montana’s biggest market for real estate doing so well what should we expect for the remainder of the 2016 Housing Market throughout the state? Generally when a state’s biggest market is strong it’s a good sign. But with any prediction, there are factors such as oil prices and interest rates which could derail forecasts. However, here are a few things that are expected for the state. Attainable housing will see shortages in a majority of Montana’s housing markets. Sales numbers should continue to increase, and median prices are expected to rise in the 6-8% range. Demand in the top price tier ($500K to $1.5 Mil) will continue to increase in demand. Also, realtors are expecting new construction and new subdivisions to come onto the market for the Montana real estate which should further ease supply issues. Areas of concern are increases to interest rates, job growth, energy pricing, and trends in population. The state’s average personal income per capita ranks 35th in the country at $40,600. Last year Montana’s unemployment rate was 3.9%, lower than the national average of 6%. The median home value for the Montana real estate is $186,600. This is a 4.1% increase in the past year and Zillow predicts this number to increase another 2% in the next year. Parts of Montana are already dealing with inventory issues. Fortune Magazine predicts that 2016 will see a large mass of first time homebuyers as millenials begin to flood the market. Coupled with low interest rates this will most likely ensure that homes will become less affordable. Homes spend an average of 100 days on the market. Rental costs on average is $1,162. The national average is $1,382. Interest rates are expected to top 4% by years end. The southwest region of Montana will continue to be a bright spot in the state’s real estate market. The quality of life in the region is rather exceptional with some of the country’s greatest geological attractions. These markets include Bozeman’s Gallatin Valley and Livingston’s Paradise Valley. 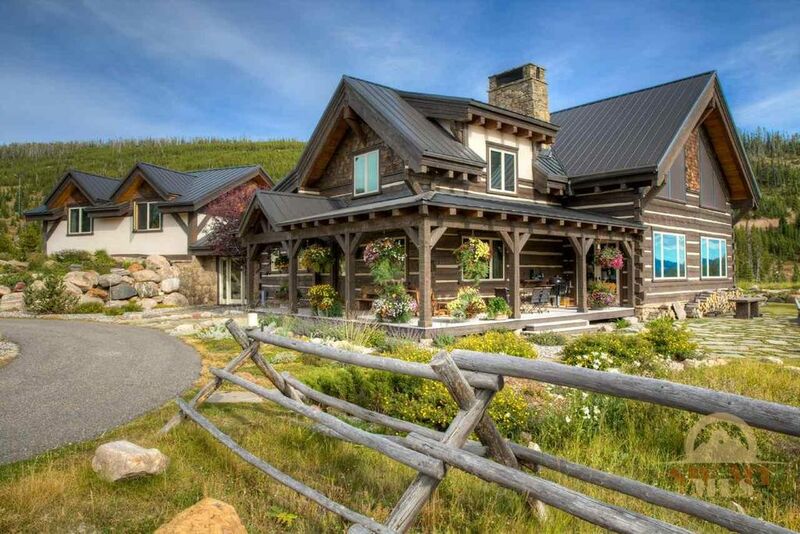 Bozeman is one of Montana’s most sought after housing markets. Last year single-family home sales increased 6%. There were 556 single-family homes that were sold last year, compared to 523 in 2014, and 2016 looks like it will continue the upward trend. Bozeman real estate has a median home price of $349,000. Unlike the rest of the state Bozeman has seen sales outpacing inventory, particularly with homes in the mid to higher range of prices. And condo/townhomes have begun to gain popularity in the city. There were 404 condo/townhomes sold last year, representing the demand for affordable and attainable properties. While inventory has been a minor issue for the Bozeman market, it has seen positive numbers recently. At the end of 2015 there were 126 active residential listings compared to 112 the previous year. Not a dramatic change, but it is a difference that realtors will welcome as opposed to the alternative. The area continues to bring in new residents yearly. Livingston markets have seen over a 30% increase in sales last year. Average sales prices also rose almost 30%, and the median sales price is $219,000. Some of the factors affecting this market are the increasing housing costs in Bozeman. Buyers are still drawn to the area for its great environmental attractions but are choosing to commute a little further to Livingston for value of comparative costs. Likewise, Ennis and the Madison Valley also saw great market gains in the past year. Home sales rose 20% last year, as both markets have garnered renewed interest as great retirement options and vacation home getaways. Ennis’ economy relies heavily on ranching, and it is also a major tourist attraction for fly fisherman. Missoula real estate thus far in 2016 has been relatively positive. On real estate website Zillow Missoula has a median price of $231,800 for all homes with the average home spending 118 days on the market. Prices have increased 3% in the past year but real estate experts see home values holding steady in 2016. Listed rental prices vary for the city (a look on Craigslist Missoula shows an example of this variation), but according to Trulia Missoula has a median rent per month of $1,295. Missoula is both a regional trade center and cultural hub for the state. Key sectors that serve the area are health care, retail shopping, transportation, financial institutions, and government/social services. As far as its cultural contributions, Missoula is home to the state’s first university, resulting in a diverse mix of anyone from loggers to hippies, and college students to retirees. Missoula annually hosts dozens of festivals and celebrations, and the museums are the finest in the state. Not quite as expensive as Missoula, Helena real estate is a wonderful place to look into for affordable housing and job security. The median home value for Helena is $193,000, a 5.2% increase over the same time in 2015. Being the state capital, Helena has always been a rock of economic stability. Over 30% of the city’s workforce is comprised of government jobs, and the city also has a strong private sector that makes up 62% of all of the city’s jobs. Fort William Henry Harrison, a training facility for the Montana National Guard, contributes to Helena’s economy. Several light manufacturing facilities are also located around the city limits. Some of the cheaper places for investment are the Kalispell and Great Falls real estate. Kalispell has a median home value of $178,100. Not only are the homes affordable, but also rental costs are below the national average, coming in at just under $2,000. Kalispell is the commercial center of Northwest Montana and the gateway to Glacier National Park. Great Falls has picked up recently due to its low cost of living. Median home values are currently $153,100, but experts agree that this number will likely rise 3-4% in the upcoming year. Like Kalispell, Great Falls has lower rental costs. The average rental cost is $1,173. The city gets its name from the series of 5 waterfalls along the upper Missouri River Basin. Great Falls is nicknamed “The Electric City” as each of the falls sports its own hydroelectric dam. The city offers opportunities that Missoula and Helena are both known for – college and military facilities. Great Falls is not only home to Malmstrom Air Force Base, but there are also two institutions of higher learning located in the city. Great Falls has a great transportation infrastructure, wonderful outdoor recreation activities, and an Arts and Culture scene that rivals that of Missoula.